Totalcontent | type writing for the F37 Foundry website. Home » blog » type writing for the F37 Foundry website. 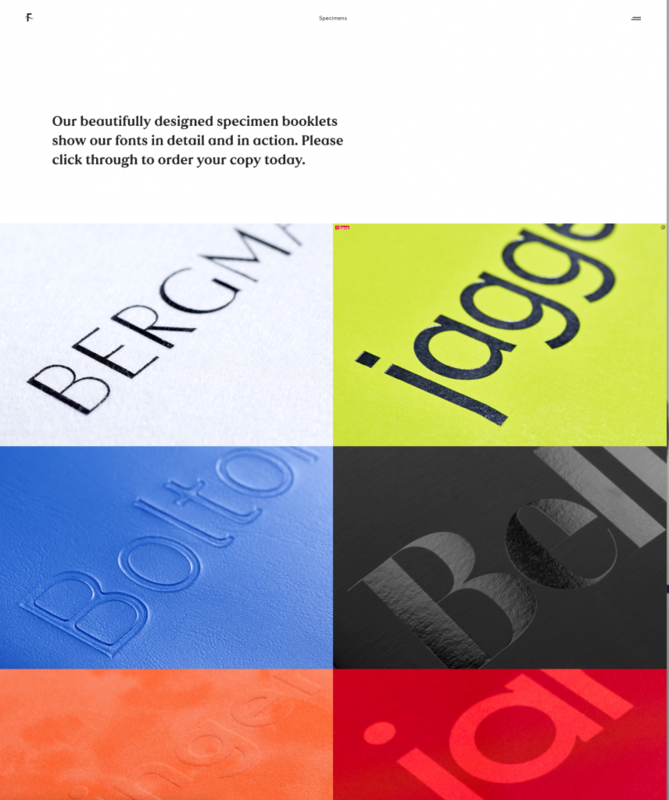 His fonts, including Ginger, Bella and Bolton, have become firm favourites with the design community, and been used widely for branding projects and campaigns the world over. He approached us to help write his F37 Foundry website, where he not only sells his off-the-shelf type families, but offers a range of customisation and bespoke services. The world of font licencing is somewhat complex and technical, so the idea was to keep things as accessible and friendly as possible, but to cover all the bases thoroughly and professionally. It’s a beautiful, logical and intuitive site, with slick animations and interactions to help the user understand the nuances of Rick’s designs and the possibilities of tweaking and personalising them. 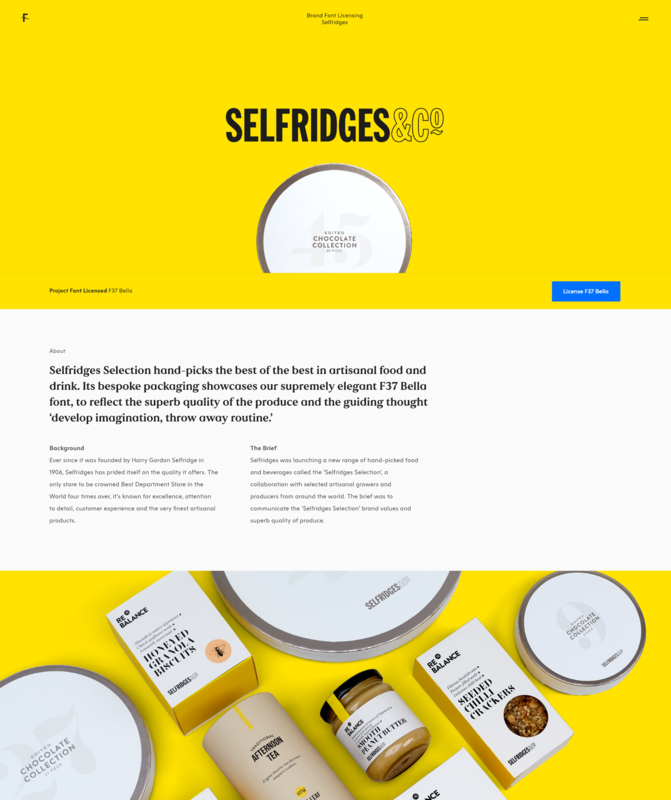 The ingenious Type Tester section of the site has been live since 2017 and already picked up a D&AD yellow pencil. 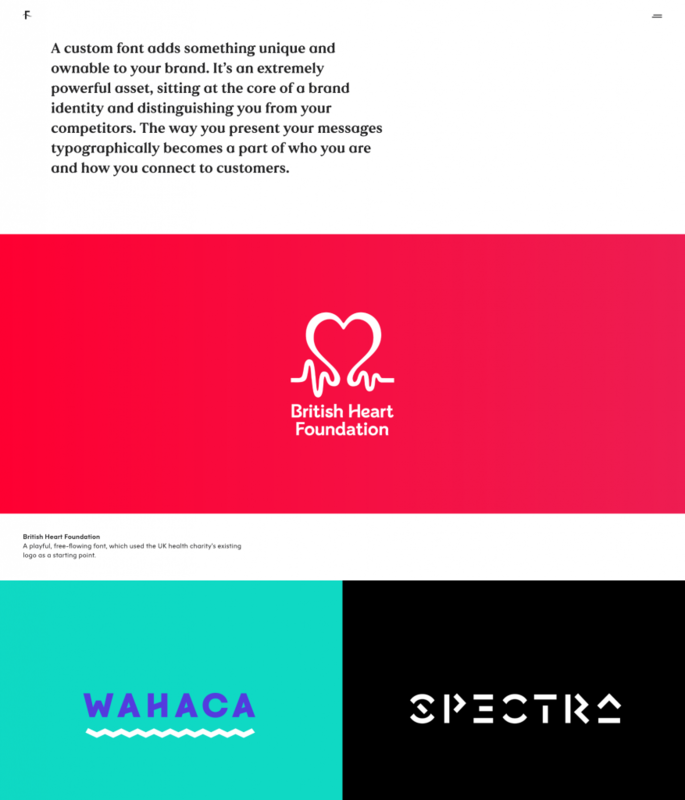 As well as explaining licencing options and services, we wrote a series of pithy case studies showcasing F37-designed fonts in action for high-profile clients including British Heart Foundation, Moonpig, Selfridges, Pizza Pilgrims and Dunlop.